The SonicWall Cyber Threat Report 2018 published this week indicates the volume of ransomware attacks has fallen considerably over the course of the past year, dropping from 638 million attacks in 2016 to 184 million attacks in 2017. While the fall of more than 71% is certainly good news, there has been a notable rise in the ransomware variants used and a sizeable increase in the use of other malware. Between 2016 and 2017 there was a 101.2% rise in ransomware variants in use. 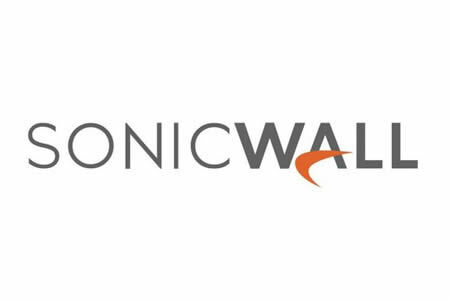 SonicWall Captured 2,855 unique ransomware variants in 2017 and reports an 18.4% increase in malware attacks. In 2017, the number of malware attacks rose to 9.32 billion. Ransomware attacks may be down year-over-year, but SonicWall predicts the number of attacks will rise in 2018, albeit targeting different devices. IoT and mobile attacks are likely to become much more common in 2018. SSL/TLS traffic has increased by 24% in the past year as businesses switch from HTTP to HTTPS to provide greater protection for their customers. Cybercriminals have followed suit and are increasingly using SSL/TLS encryption to hide attacks. On average, organizations that fail to decrypt and inspect SSL/TLS traffic can expect around 900 file-based attacks each year. SonicWall is now detecting approximately 500 previously unknown malicious file types each day. There have been notable decreases in the use of exploit kits in 2017. Exploit kits are used to leverage vulnerabilities to download malware. The most commonly exploited vulnerabilities in 2016 were in Adobe Flash, but with support now dropped by browsers, these types of attacks have become far less effective. SonicWall notes that there were no critical Flash vulnerabilities discovered in 2017. However, new applications are now being targeted with notable increases in attacks on Apple TV and Microsoft Office, while Microsoft Edge attacks increased by 13% in 2017. There have been several high-profile arrests in 2017 with major players in the malware supply chain arrested which has helped to disrupt the supply of new malware variants. These arrests have forced cybercriminals to exercise greater caution, switch the cryptocurrencies used, and change to dynamic cryptocurrency wallets. While there is some good news in the report, cyberattacks are still now the number one business risk and without advanced cybersecurity solutions, organizations are likely to continue to experience high numbers of costly attacks each year.